I will and have travelled across town for these burgers. Succulent, spicy and with an excellent array of accompaniments a Bhangra burger is a bit like having a Sikh wedding in your mouth. Yum yum. Taking Clapham by storm, Zumbura serves the most incredible spice-battered tilapia, excellent cocktails and some of the finest chaat in the capital. Small but perfectly formed, it’s owned by the same folk behind furniture store Dwell. 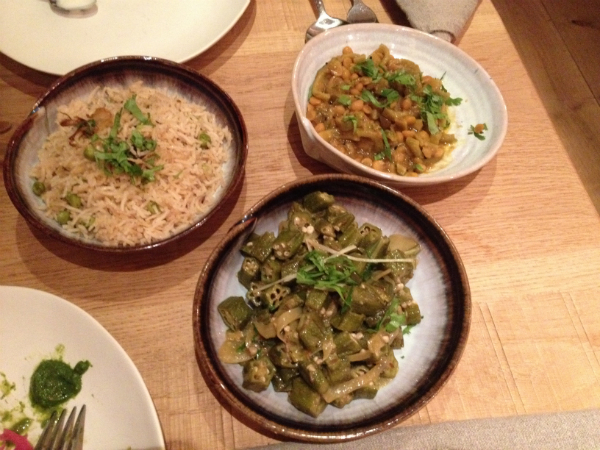 As a long-standing devotee to the amazing dhals cooked up by mother and son team Lalita and Urvesh at their Exmouth Market stall, I was absolutely delighted when they told me they were opening a restaurant. The ohndwo (savoury lentil cake) is spot on, as is the ringan bhurta (smoky, spiced aubergine with paratha) - it’s a truly cracking place to impress vegetarian friends. Specialising in coastal fare, this Michelin starred South Indian place does a mean seafood biryani, also check out the koliwada shrimp and queen scallops. Some say the dosas in this Tooting establishment are the best in town. They certainly are incredible value at just £2.95 for a masala dosa. The curd vada (a lentil doughnut in spiced yoghurt sauce) and coconut lamb fry are also excellent. 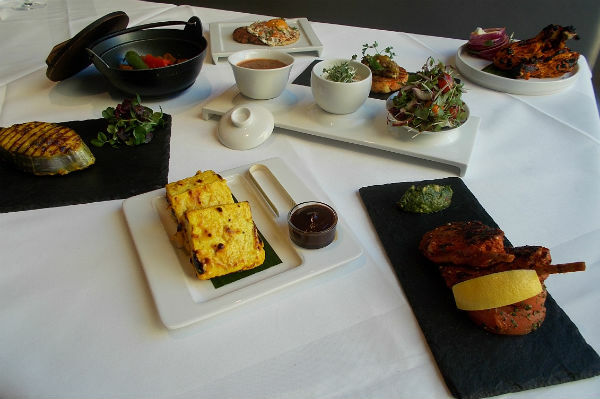 The most reliable place to get good, high end Indian food in central London, Moti Mahal are at the forefront of the new wave of innovative yet refined Indian fare (anyone for fig, venison and stilton samosas?) They also offer a fantastic lunchtime tiffin and if you do go a la carte the pickling spiced lamb is a must. The lengthy queues of hungry Asians outside Seth’s van in Walthamstow market are testament to some of the finest kebab rolls in the history of ever. Seth has been flogging masterful Pakistani classics from his van for over a decade now and the food is still better than that sold in many higher end Indian restaurants. At £2.50 for a double kebab roll you’d be bonkers not to. Our Indian food options are a world away from the technicoloured gloop and flock wallpapered haunts of yesteryear belching out endless sugary chicken tikka masalas. 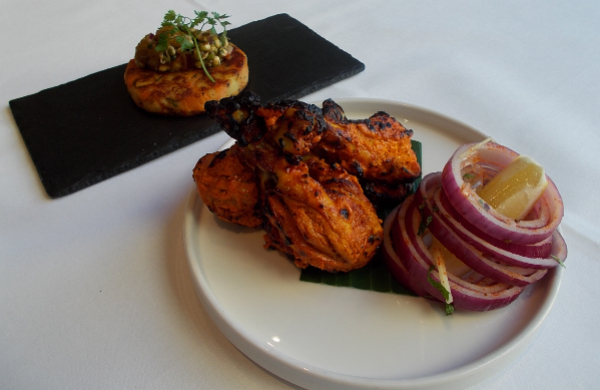 Here in the smoke we now have authentic localised dishes to suit every pocket and palate. Yet another reason to be proud of our multicultural heritage and a raging triumph for Londonstanis everywhere. 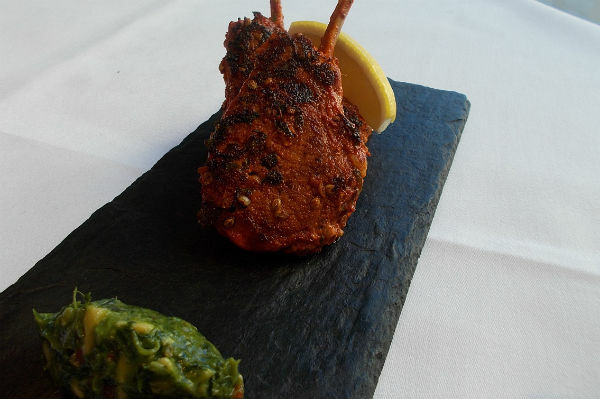 Find a deal for Indian restaurants in London. Click here to read more articles by Rejina..Rejina Sabur-Cross is a blogger and freelance food writer. She started Gastrogeek back in 2009 and has written for various publications including The Guardian, Fork Magazine, Eat Me Magazine, Le Cool, Blogosphere Magazine, Channel 4 Food, Fire and Knives and BBC Good Food. She’s been featured in Red Magazine, the Evening Standard, The Independent, Olive Magazine, Waitrose Kitchen and more recently in the Sunday Times Magazine as one of the UK’s top food bloggers. She’s judged the Brick Lane curry competition, dined on bull’s pizzle pie on Jimmy and Jamie’s Food Fight and judged dishes for “The Perfect” on the Good Food Channel. Her first book “Gastrogeek” is out now. Click here to read more articles by Rejina..